Pride from the veins of the Feltsville Patch section recount days of toiling in the coal mines; memories grounded in the strength of family and faith. Civic organizations look to the future by raising money for school scholarships and making sure every child gets a little surprise at the annual Easter Egg Hunt. Feel a spirit of sportsmanship and pride as fans cheer on the red and blue of the Riverside Vikings—while basking in the Hollywood afterglow of That Championship Season. Welcome to a community of warm hearts and overflowing spirits, ready to lend a hand. 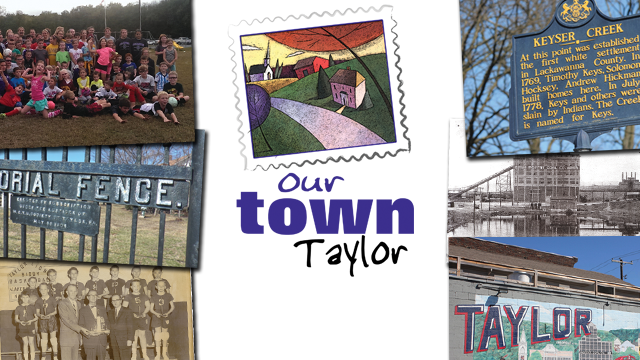 It means you’re in Taylor…it means you’ve come home. Metcho Insurance & Surety Bonds Inc.